Large commodity supply chains are incredibly complex and virtually impossible to reform in isolated efforts. Tracing back to plantations is difficult, training farmers and financing conversion to sustainable production is costly, and current market premiums are often insufficient to make certification worthwhile for many producers, especially for smallholders. In recent years, many major producers and buyers of agricultural commodities have made ambitious commitments to eliminate deforestation from their supply chains. Yet, it is now clear that even if they meet their own commitments, deforestation will continue and many of the other underlying environmental and social challenges will also remain. On the eve of the IPCC’s radical call to action to keep temperatures below 1.5 degrees Celsius, the Global Environment Facility and the Good Growth Partnership convened leaders from major food brands and commodity traders in Washington D.C. Participants considered how to better align international efforts to effectively tackle deforestation, a major contributor to climate change. A total overhaul in the way we produce our food is needed said the Global Environment Facility’s Chairperson and CEO Naoko Ishii, who described the global food industry as a “broken” and “inefficient” system. Just as it takes a village to raise a child, it is going to take an entire global agricultural sector — from the policymakers, farmers, traders and manufacturers and retailers — to cultivate sustainable commodity supply chains. Up until recently, most companies along the supply chain have been somewhat single-tracked in their approach toward achieving sustainability within their own value chains. 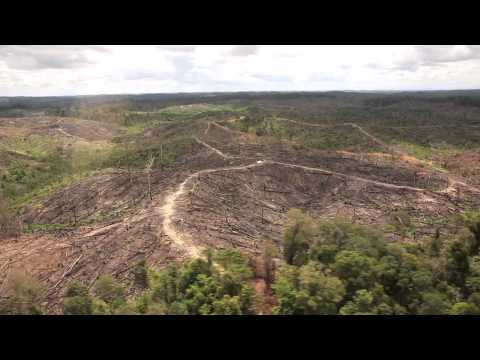 While many global industry players have joined forces through a number of important private sector initiatives — such as the Tropical Forest Alliance 2020 and the Consumer Goods Forum as well as industry standards including the Roundtable on Sustainable Palm Oil — it still hasn’t been enough to make a considerable dent in deforestation rates. “A lot of the activity is about controlling our own supply chains but we need to change the way commodities are produced within a whole country. We need to change the system in which commodities are produced,” explained Mars’ Global Vice President of Sustainability, Kevin Rabinovitch. In the move to a more holistic approach to reduce deforestation and achieve supply chain sustainability, the private sector is increasingly recognizing the importance of national government participation and leadership in the reform process. In many cases agricultural commodities form the economic backbone of commodity producing nations. In Paraguay, for example, where poverty remains a significant burden, the agricultural sector employs nearly 50 per cent of the population and contributes to more than a quarter of the national GDP. As a result, policymakers and government leaders are constantly grappling with a delicate balance of economic growth and environmental protection. Cargill’s John Hartmann recognizes that the challenges governments face in the effort to reform supply chains are just as complex as the challenges faced by the private sector. Priorities around education, healthcare and employment need to be understood and accounted for. He added that a “common ground” which respects national ambitions and development must be found as sustainable agricultural reforms are recommended and implemented. “Once we enable access to the best markets and best agricultural practices in local communities, that then gives us the ticket to introduce farmers to more demanding issues related to sustainability and environmental protection,” said Hartmann. Over the past 15-20 years there has been a strong emphasis on market-based approaches to influence sustainable sourcing, particularly through the adoption of voluntary sustainability standards. While these have been hugely important in developing best practice, the market penetration of sustainability standards and certification is still low. Just one fifth, 21 per cent, of palm oil produced worldwide is RSPO certified. For soy and beef, the market share of sustainably certified produce is even smaller. According to Kevin Rabinovitch of Mars, the approach to reducing deforestation has been focused too exclusively on market-based solutions. He emphasized the critical importance of capacity building resources and opportunities for governments to strengthen regulations. “A solely market-based approach to discourage people from chopping down trees is hard to imagine, we also need policy and enforcement,” said Rabinovitch. Many of the roundtable participants insisted that robust national policy, which requires the protection of forests and ecosystems, would ensure a blanket standard for all producers and buyers particularly as demand for agricultural commodities in India and China grows. This would go a long way in helping to even the playing field which currently puts responsible companies at a commercial disadvantage to their business as usual counterparts. “With genuine and effective multi-stakeholder processes, real changes in regulatory frameworks, real changes in the capacity of farmers to create more value, combined with markets that support a demand for these sustainable products, we will be much more likely to reduce deforestation in the commodity supply chain,” said Andrew Bovarnick, head of the UNDP’s Green Commodities Programme. Adequate investment is also needed. Hundreds of billions of dollars are required to transform supply chains and protect nature, a figure which cannot be serviced by the market the alone. “The paradox of working with the private sector is that they are increasing their commitments but their bottom line doesn’t let them find the resources needed to improve their supply chain directly,” explained Gustavo Fonseca, Director of Programs at the Global Environment Facility, who emphasized the vital roles that the GEF and the Good Growth Partnership play in convening government and companies throughout the supply chain. The convening power of the GEF, and the combined strengths of the Good Growth Partnership agencies as well as the partners’ access to governments and public finance is helping to provide a level playing field for companies to produce and demand sustainable commodities. Read more about the Good Growth Partnership and its integrated supply chain approach here.